Tanya Hall is CEO of Greenleaf Book Group, a hybrid publisher. Named to Publishers Weekly’s 2015 list of independent publishers with the most growth in sales, the company bridges the gap between traditional publishing and self-publishing by offering customized author and distribution services. Tanya talks to Derek about how her firm helps authors navigate the world of book publishing and marketing. How did you go from TV production to publishing, and then from publishing to being CEO of a hybrid publisher? Usually, people go from publishing into television but hey, that was the non-traditionalist in me. I grew up actually in Los Angeles. I was a film major. I caught that bug early. I went to film school and worked in television straight out of college. I was very lucky to get a break over at Extra! when that show was still fairly young. By the time I moved over to E! Cable Networks, I handled books amongst other bits, mostly because I was theyoung rookie and nobody wanted to deal with books; it was a celebrity news network. Most pitches weren’tcelebrity-oriented. What did your journey as TV producer teach you about publishing? It’s all media. Whether it’s TV, or books, or film, we all really have the same core challenges which is oversupply and under demand. We’re all vying for these eyeballs that, of course, are being pulled in million directions by all kinds of competing media platforms. We have to continually make sure that people are raising the bar content-wise, and also, of course, with our platform and mark. That is the common thread that’s been pulled through my career and really, just the impetus for my drive at this company to make sure that our content is rock solid, and very compelling, and actionable, and creating value for the reader, and certainly, our drive to help our authors develop strong platforms, and really hone the approach they take to market their books, and reach those appropriate audiences. How would you describe what you do at Greenleaf? We were one of the first hybrid publishers and we’ve had this model from the beginning. We take the strengths of self-publishing and those of traditional publishing and combine them while eliminating the downfalls of each. From self-publishing, we bring: creative control, speed to market, larger share of royalties. From the traditional side, we bring: in-house distribution along with a field force of sales reps, and colony airport accounts, and associate co-op placements. How do you choose which authors you work with? We’re very particular There’s a complete vetting process on the front end. We do about 120 books a year which might sound like a lot but it’s less than 10% of what we see come through the doors. How does going hybrid differ from using a traditional publisher or self-publishing only? Here’s an example: Authors who are speakers and consultants are use their books in part for greater visibility. They will generally do better in a model that’s either self-publishing or one like ours that’s hybrid where they’re investing on the front end because then, they own the books. When you own the books, you are essentially paying production cost. Then, when you sell them back of room, of course, the money that you make in the delta there is yours to pocket versus in a traditional model, a lot of people don’t understand this in the beginning. You actually have to buy your books back from the publisher because they’re fronting all of those initial costs. It’s very much like bootstrapping vs. venture capital: when you’re bootstrapping, you’re investing in yourselfand you know you’ll keep most of the profit on the backend. With venture capital, someone else takes the riskand your profits are leaner. What other benefits are there to hybrid publishing? If you’re author who wants to jump between genres without alienating your core audience, you can creative control, as long as you’re confident about the risks involved. You still get the distribution you need, regardless of genre. You have a support team: editing, indexing, designing, sales are farmed out to professionals who take the stress away as you stay focused on your responsibilities outside of your book. You can have a consultant on your side to show you what retailers look for in a book cover. Distribution. Most self-published books appear only online. More than half of our book sales are in brick and mortar channels. I think, for most publishers, it’s probably closer to a 40/60 relationship with 40% being Amazon. Hybrid is great for authors who want to expand beyond selling online. How does an author become a New York Times bestseller? Be highly strategic. Hitting a list revolves around sales velocity for a period of time, so your publisher will be closely involved. Get a big media push to drive organic demand across TV, video, print ads, interviews, etc. Once you hit a list and add that phrase to your name, your speaking fee goes up. It’s a little bit of magic, and a little bit of science, and a lot of hard work. Want to be a NYT Bestseller? You need a bit of magic, science, and a lot of hard work. Does hitting a bestseller list guarantee ongoing success? Wanting to hit a bestseller’s list is no indicator of future performance. I’ve seen books hit the list and fall right off. The book itself won’t beget more media attention. It might matter in the speaking world to differentiate you from some of your competitors, but on the retail side, it is not a game changer like some people think it is.It doesn’t necessarily widen or guarantee distribution. You need ongoing efforts to convey what the value is of the book, and to be within a community where you’re participating. 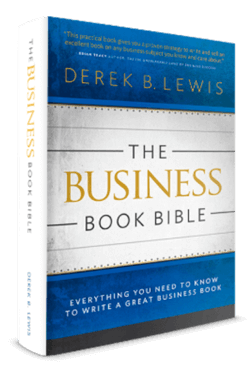 What’s one of your favorite business books? Positive Intelligence by Shirzad Chamine. What’s a great business book you’ve read recently?